In this Issue: | WET Member Highlight: BovControl | In the News | Team Member Highlight: Marylou Shockley | Funding and Other Opportunities | Upcoming Events and Webinars | Did You Know? Chico, California - In the midst of the hustle-and-bustle of today’s modern world, we want a quick and accessible means to help manage our daily routine. Through an innovative app, Sweep Energy allows users to monitor and diagnose equipment directly from their fingertips. Chico State’s Center for Entrepreneurship serves as one of seven hubs in the BlueTechValley Innovation Cluster. 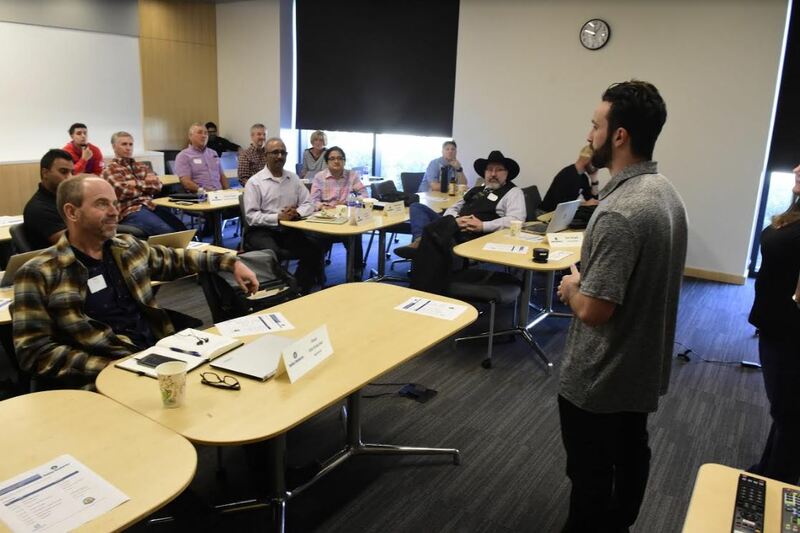 Each hub is tasked with identifying innovations in water, energy or agricultural technologies in order to connect them with resources such as the Valley Ventures Accelerator and CalSEED funding program. Sweep Energy is one of many BlueTechValley success stories. Founded in 2016 by Agustin Roland and Tamba Balde, their app utilizes a miniature Wi-Fi enabled equipment monitor that detects electrical input from your equipment, and monitors for changes through high-resolution energy signatures. All insights into the performance of your equipment are shared with the online monitoring service for later review. The team joined BlueTechValley after being recruited by Benjamin Francis, the project coordinator of the Valley Ventures Accelerator at Fresno State. As a BlueTechValley accelerator, Valley Ventures strives to promote growth in startups focused on innovations in water, energy, or ag technology. This success story was written by Charlette Daigneault, Director of Program Expansion at BlueTechValley’s CSU Chico Hub. BovControl is an analytics company and a new member of the WET Center team! They specialize in the betterment of dairy and meat production via data collection tools. Their software offers a flurry of services, including data collection, inventory, and sanitation control features, all without needing an internet connection. With a main goal to end world hunger, the team at BovControl works extensively to ensure farmers are made aware of their daily potential food and milk production. Since working with BlueTechValley, BovControl has been able to network with larger scale companies all while improving the quality of their service. The company was created from an idea of using data collection solely to manage herds. This has since expanded to include food production data which now works as a full-fledged application, garnering 26,000 international users. Bovcontrol’s current projects include working with the notable Swiss transnational food and Nestlé Drink Company. Bovcontrol is developing applications that bridge the communication gap between the companies and their milk suppliers. You can see Bovcontrol’s statistical progress and read more about them on their website here. Kern, Tulare, and Fresno were among the top ag producers of 2017! To learn more about the increase in value of agricultural production in all California Counties and read the article by The Business Journal, click here. After nearly two years in the works, Cal Poly’s Center for Innovation and Entrepreneurship (CIE) opened a manufacturing lab in their new 4,100-square-foot downtown space, called the HotHouse Annex. The goal of the new lab is to provide entrepreneurs with resources to create product prototypes and early-stage manufacturing. Click here to get an inside look at the new space! Watch the ABC30 Action News story here. The BlueTechValley Innovation Cluster is proud to work in an advisory capacity to entrepreneurs in the water, energy and ag technology space. We are a multi-faceted resource for entrepreneurs that ranges from networking opportunities to oversight of technology development. The California Energy Commission’s annual energy report reveals that $19 million has been funded through them for innovation ventures. Calling for the next frontier of energy planning and policy, the California Energy Commission recently approved the 2018 Integrated Energy Policy Report. The report highlights California's past successes but focuses attention on how a state with nearly 40 million people will meet its climate, energy, air quality, and other environmental goals while maintaining reliability and controlling costs. State and local officials can promote clean energy-based economic development by offering incentives; nurturing tech-based startups; deepening clusters of related industries; substituting local energy resources for imports; and stimulating demand. Click here to learn more. The Kauffman Foundation has crafted a new formulaic approach to improve entrepreneurial support throughout 200 communities over the course of the next five years. The foundation has offered up a checklist for entrepreneurs to track advancements in their projects as well as four key indicators that will help track startup progress in their infancy. To learn more about these indicators click here. Demand response programs have seen little success since their projected popularity in 2011. Few California agricultural entities are participating in demand response programs, despite the overarching benefits that they yield. With steep technological advancements in the past decade, there is now a call to revise demand response programs for feasibility in order to improve productivity and protect the future of clean energy. Shockley feels the BTV project has enabled them to share and highlight their efforts to promote entrepreneurship in the tri-county area of Monterey, San Benito and Santa Cruz. “More specifically, our students have benefited from the annual events such as Start-Up Weekend and the Hackathon that the IIED organizes,” Shockley said. Originally from Honolulu on the island of O’ahu in Hawai’i, Shockley recently received her doctoral degree in Management from Oxford University. When she has time, she enjoys a good movie, walking, and sketching. This solicitation encourages research concepts that integrate fundamental science and engineering knowledge in different disciplines in a convergent approach with the aim of developing the next generation of sensors capable of in-situ measurement of dynamic soil biological, physical, and chemical variables. This solicitation also encourages the development of sensor systems that include all of the needed components to operate the sensor, communicate its signals, integrate with other information, and perform analytics needed to produce observations at desired temporal and spatial scales in managed and unmanaged soils. Small science and technology firms are encouraged to apply for this block grant funded by The National Institute of Standards and Technology (NIST). The end goal of the NIST-sponsored program is to foster small businesses that have a blatant focus in technological innovations as well as to promote open participation for small businesses in large-scale monetary ventures. The deadline is April 19, 2019. Click here to apply! This funding opportunity comes with loose eligibility requirements and is based on legal and/or social need. The Legal Assistance Enhancement Program hopes to provide necessary legal assistance to public or private institutions. The deadline to apply is April 29, 2019. Click here to learn more! The 6th Annual Salinas Valley Agricultural Technology Summit is hosted by the Agricultural Business and Technology Institute at Hartnell College in collaboration with Monterey Bay Chapter of the California Association of Pest Control Advisors (CAPCA). Attendees will discover the latest topics of crop protection, the future of farming, automation, harvest technology, innovation, worker safety and regulations with access to exhibitors, demonstrations and more. Cleanstart Inc. is hosting a technology seminar on Thursday, March 28 comprised of functioning tech companies who will give prepared presentations. Their theme will be Energy Management and this event is completely free. Come learn about the inner workings of managing and running a tech company from real technology professionals. As part of their Big Bang! Business Competition, the UC Davis graduate business program is holding a seminar on intellectual property on Thursday, April 11. The event will also be livestreamed on vimeo! RSVP here. The Central California Angel Conference is seeking innovative and disruptive startups who want a chance to win $100,000 to grow their startup. Join the pitch competition with over 250 local business community members attending. "Brief Guide to Digital Security: A cybersecurity primer"
April 19, 2019 - 11:30 A.M.
BlueTechValley, in partnership with Berkeley Law’s new business practicum, an interdisciplinary national law clinical program, with JD and MBA students assisting startup entrepreneurs. These webinars are a series of workshops that focus on different legal areas of running a business. Register for this month's cybersecurity webinar here! Want to learn how to operate your business like a real CEO? Join our CEO Crash Course!! BlueTechValley's CEO Crash Course is a business development boot camp being offered this spring in Sacramento. 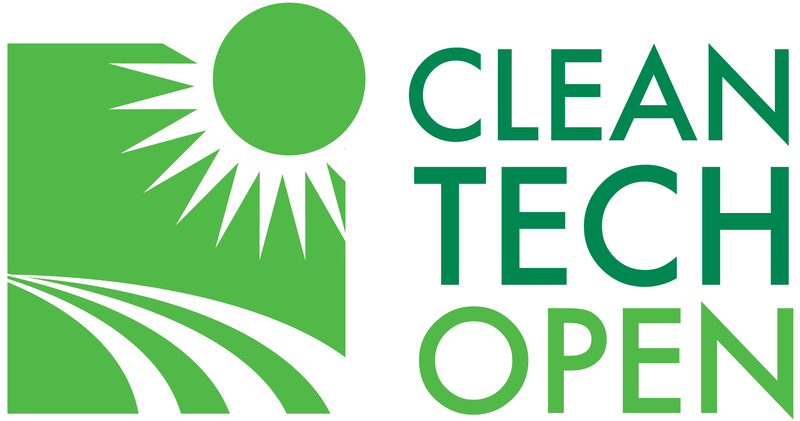 Cleantech Open West is accepting applications for their 2019 accelerator program! CTO is a nonprofit organization that works closely with entrepreneurs who have visions of combating environmental issues. The accelerator program includes mentorships, networking and exposure to webinars and business clinics. Following this skill-based learning, a tiered competition will ensue between all applicants, culminating in a Global Forum where prizes will be distributed. The deadline is May 1st. The VERGE 19 conference and expo is a platform for accelerating the clean economy. The event convenes more than 3,000 leaders — from the private and public sectors, utilities, solution providers, NGOs and startups — to explore scalable, cross-cutting solutions and to collaborate more effectively to advance them.